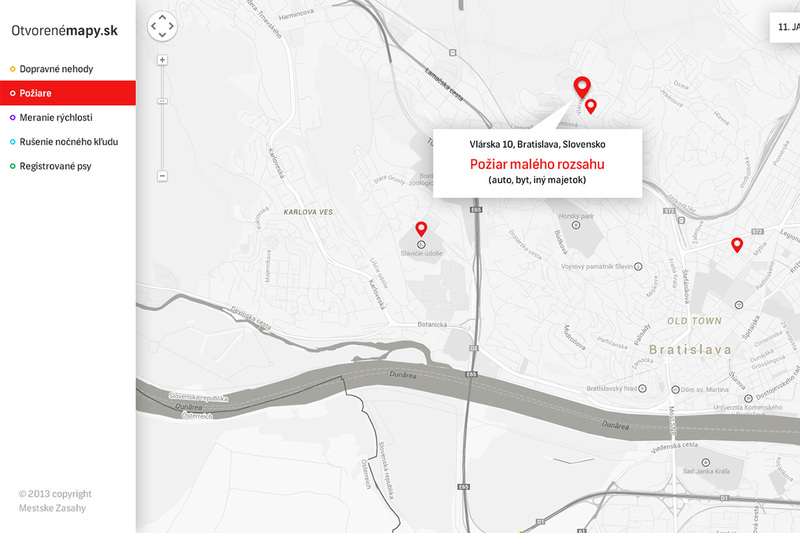 The objective of the intervention is to create an open map of Bratislava including the different types of data the city collects, such as places of firefighters’ interventions, maps of car-tow areas in case of legal offences, maps of various types of road accident locations. Such open data and maps could be used by anybody to analyze and find out, for instance, the most dangerous junctions, in order for the city to consider what measures may be taken to improve them. 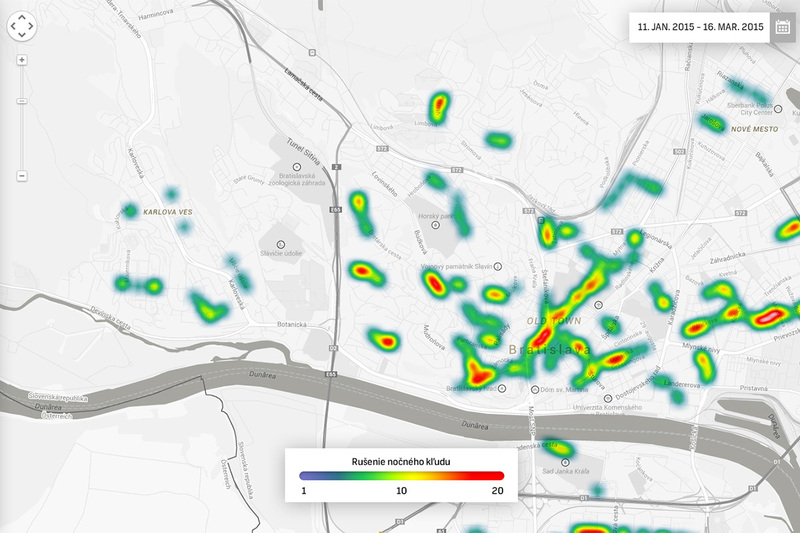 Individual data types may be visualized on the map by pins or by means of a heat map. The vast amount of data collected by the city, city districts, state and municipal police, firefighter departments, etc. can be visualized with the help of the GPS coordinates.